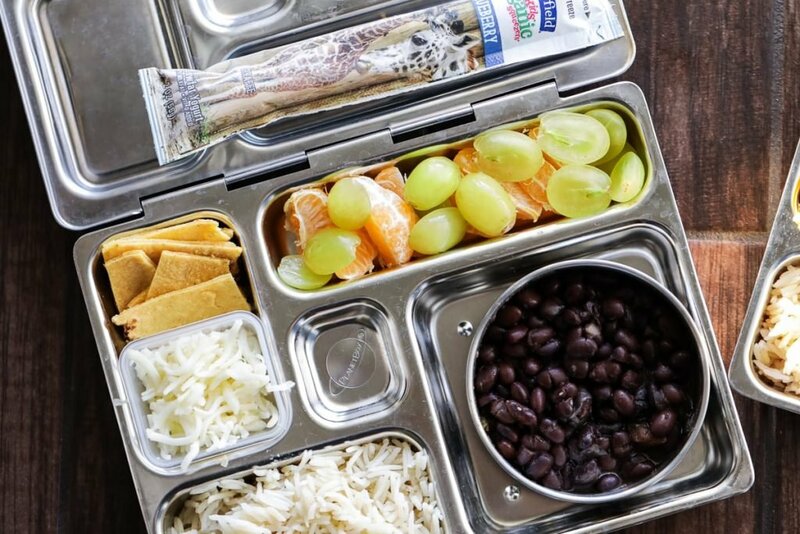 Packing a school lunch has become such a fancy endeavor. I think this all started with Pinterest and fancy birthday parties, and then trickled down to the lunchbox. Honestly, it’s just plain ol’ hard to be “average” when it comes to motherhood in 2018. I tried to live up to this Pinterest-worthy standard for a number of years (you should have seen my kids first few birthday parties), but quickly found myself tired, cranky, stressed-out, and feeling like life was getting way too complicated (and expensive–those Pinterest-perfect parties aren’t cheap). 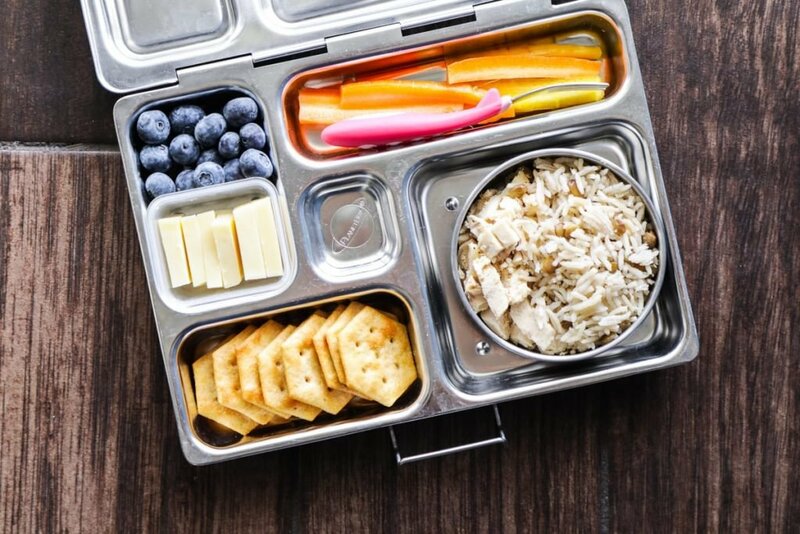 When it comes to packing school lunch, I feel like there are a lot of AMAZING lunchbox posts and pins out there. Maybe over-the-top AMAZING is a better way to put it. Have you seen these lunches? The sandwiches are beautiful enough to serve to the Queen of England, the fruit is cut into cute shapes and skewered on a stick, and there are multiple dipping sauce options each day for the veggies. Oh, and there are usually homemade cookies involved. 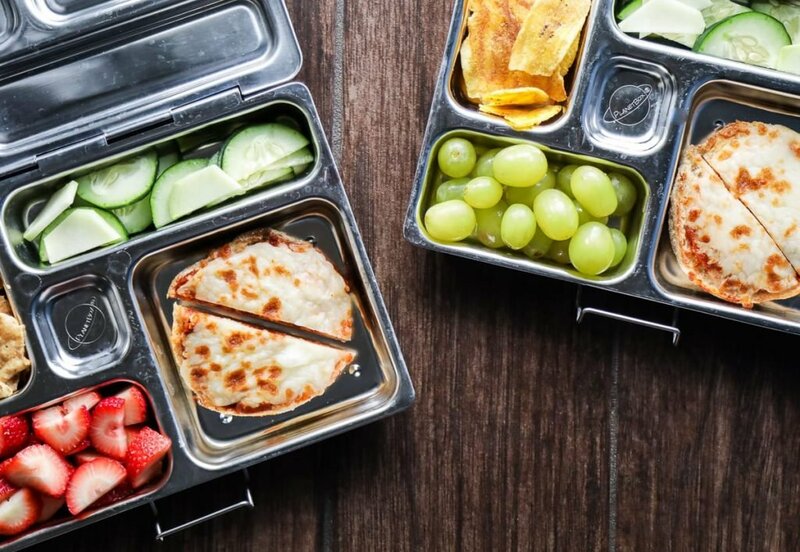 If packing fancier lunches is your thing, that’s amazing! If not, you’re in good company here. 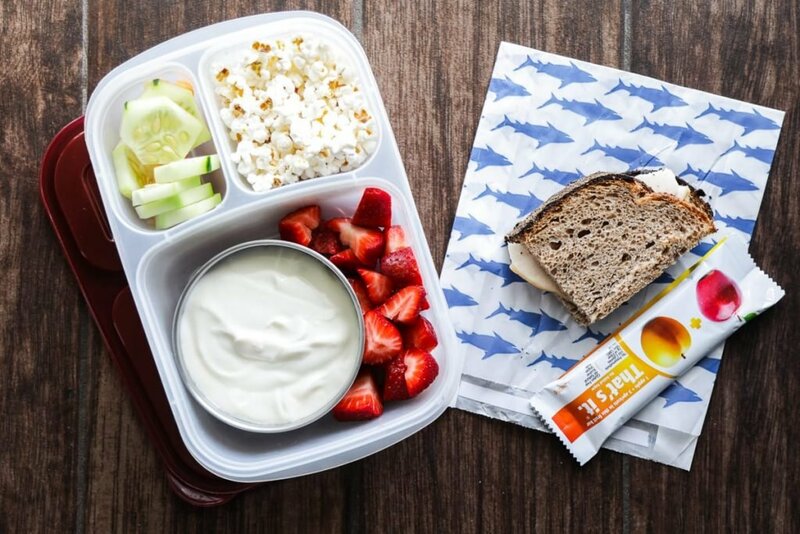 The reason I was hesitant to share my kids’ lunches over the years is because they are not what I consider to be Pinterest or Instagram-worthy. I’ve felt like I don’t have any value, or special sparkle, to add to the lunch-packing topic. Also, I don’t love packing lunches, but I know it’s part of being a parent. At some point, the kids will be able to take more responsibility for this activity, and I can’t wait! Today, I’m going to try to add some value to this topic. I hope this post will provide some inspiration. 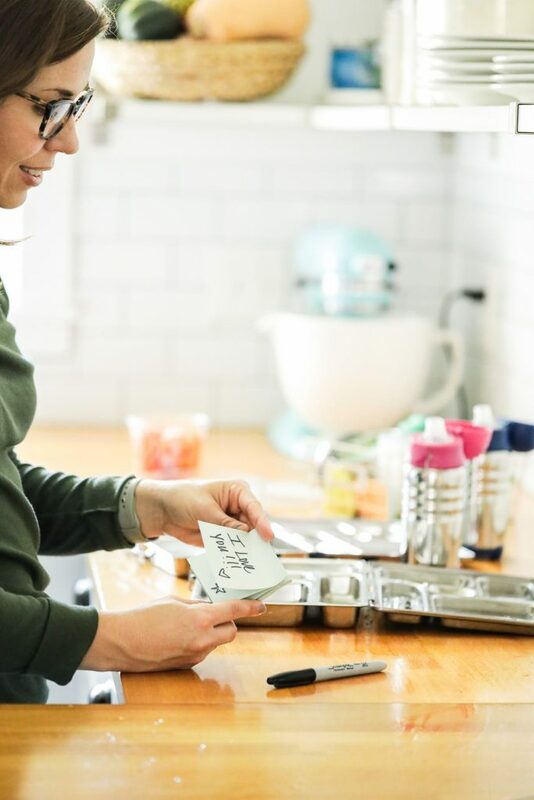 Maybe that inspiration will come via a food idea shared in the photos, or just the encouragement that “average” motherhood done with intention and love is okay. Keep it simple. I use a rotational menu for school lunch. This menu is displayed on a large chalkboard in our dining room, and it’s changed monthly. Sometimes, the kids will get leftovers from a previous dinner, which means that I skip what’s on the menu for that day. The menu is a guide for when I’m stuck or just don’t want to think about lunch (most days ?). Pack food the kids will eat. 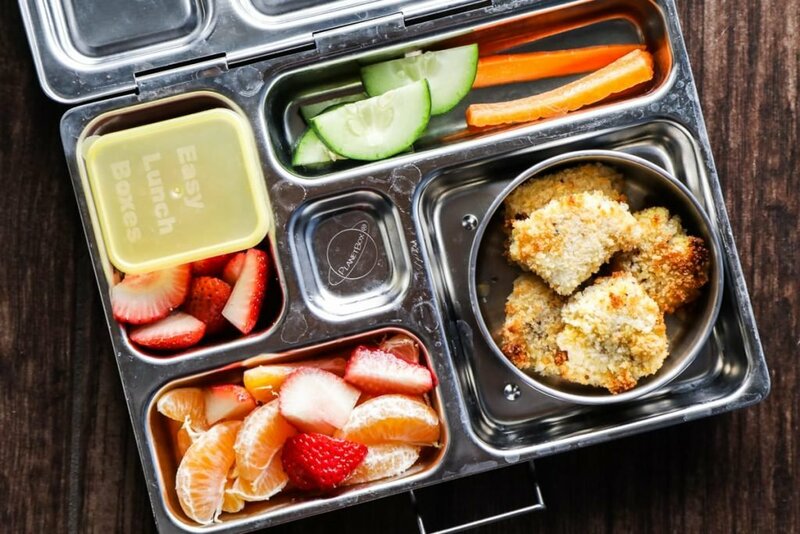 A teacher once told me, “For lunch, I ask that parents pack healthy food for their kids. 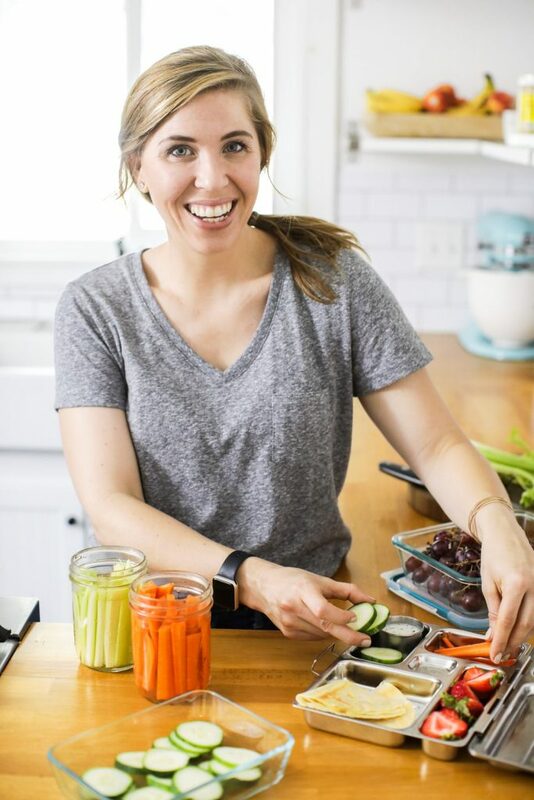 I also ask that they pack food their children will eat.” Lunch is mid-day fuel for my kids, so I want their lunches to be nourishing and something they’ll actually eat. My kids aren’t big salad fans. We serve salad alongside dinner often, and the kids are encouraged to try some. For lunch, I’m not around to monitor what they’re eating (Wow, that sounds very controlling. You know what I mean, right?!) and encourage exploration. Because of this, I don’t pack salad in their lunch at the moment. When they start shoveling salad in their mouths at dinner, I’ll happily add salad to their lunchbox. My point is that there is a variety of nourishing foods they love, so I focus on these options for lunch. Dinner, or weekend lunch, is when new foods or more challenging foods may be served. 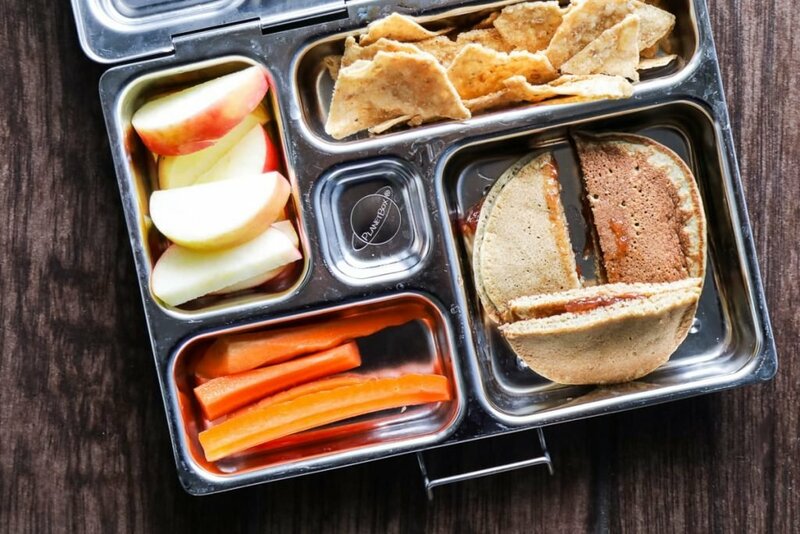 I want school lunch to be enjoyable for the kids, not a struggle. I serve a main entree, fruit, veggie, and something crunchy. And sometimes the kids will get a treat, like a yogurt stick. Nut-free lunch. This has been challenging for me since we consume nuts, but the school doesn’t allow nuts of any kind in the lunchbox. Let’s take a look at what my children enjoyed for lunch over 7 days (I’m adding two bonus photos). 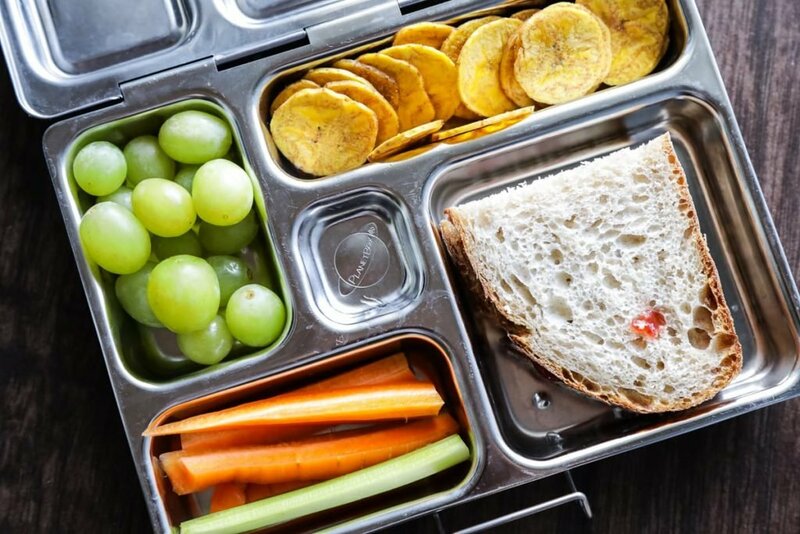 Keep in mind, there are some weeks when the kids eat sandwiches three days in a row, and other weeks when the kids buy lunch at school a couple of times during the week. Lunches are repeated often (remember the rotational chalkboard menu). That’s how I simplify this task. You’ll also notice that the same fruits and veggies are packed regularly, based on what’s in season and what’s easy to pack. 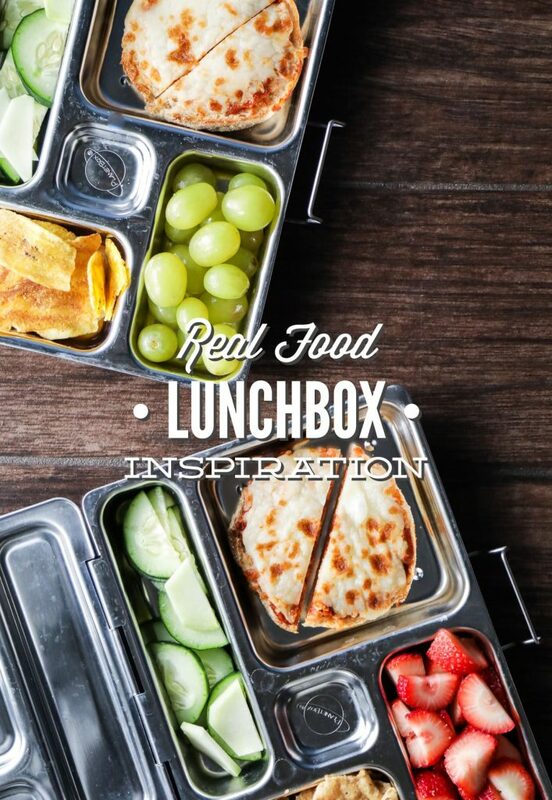 If you’re interested in my lunchbox gear, I recommend reading this post. 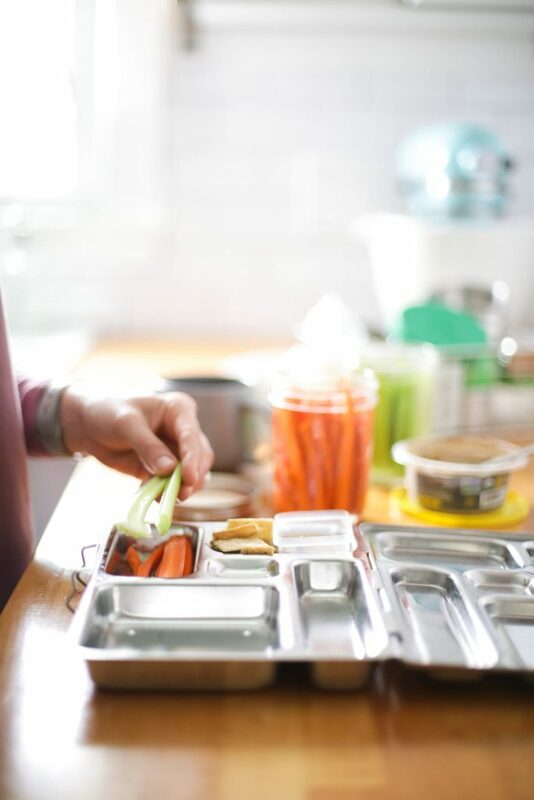 And if you’re looking for freezer-friendly (make-ahead) lunchbox ideas, check out this post after scrolling the following photos. What brand of English muffin do you use? Hey Sara, I like Rudi’s brand. Yay, Brenda! I’m planning to get another post up in April. Love that you shared this… for those of us who are hunting for “average” and do-able options!!! Your oat crumpets are such a hit for my kidlet, I always make extra on the weekend… and then freeze them as “emergency snacks” or treats during the week! I like the chicken rice option you have above… looking forward to seeing how that goes! // Just tried Dried Dates today – will see how that goes down. Hey Emma, I’m so glad you enjoyed the post! Love these options–thank you for sharing. I think I’ll add some chocolate zucchini muffins to the rotation soon.